This yoga can only be done to the end by those who are in total earnest about it and ready to abolish their little human ego and its demands in order to find themselves in the Divine. It cannot be done in a spirit of levity or laxity; the work is too high and difficult, the adverse powers in the lower Nature too ready to take advantage of the least sanction or the smallest opening, the aspiration and tapasya needed too constant and intense. It cannot be done if there is a petulant self-assertion of the ideas of the human mind or wilful indulgence of the demands and instincts and pretensions of the lowest part of the being, commonly justified under the name of human nature. It cannot be done if you insist on identifying these lowest things of the Ignorance with the divine Truth or even the lesser truth permissible on the way. It cannot be done if you cling to your past self and its old mental, vital and physical formations and habits; one has continually to leave behind his past selves and to see, act and live from an always higher and higher conscious level. It cannot be done if you insist on ‘‘freedom’’ for your human mind and vital ego. All the parts of the human being are entitled to express and satisfy themselves in their own way at their own risk and peril, if he so chooses, as long as he leads the ordinary life. But to enter into a path of yoga whose whole object is to substitute for these human things the law and power of a greater Truth and the whole heart of whose method is surrender to the Divine Shakti, and yet to go on claiming this so-called freedom, which is no more than a subjection to certain ignorant cosmic Forces, is to indulge in a blind contradiction and to claim the right to lead a double life. 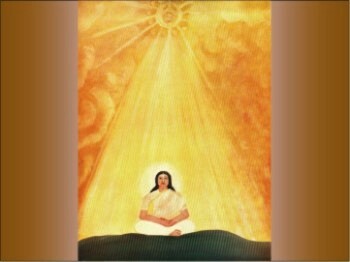 Least of all can this yoga be done if those who profess to be its sadhaks continue always to make themselves centres, instruments or spokesmen of the forces of the Ignorance which oppose, deny and ridicule its very principle and object. On one side there is the supramental realisation, the overshadowing and descending power of the supramental Divine, the light and force of a far greater Truth than any yet realised on the earth, something therefore beyond what the little human mind and its logic regard as the only permanent realities, something whose nature and way and process of development here it cannot conceive or perceive by its own inadequate instruments or judge by its puerile standards; in spite of all opposition this is pressing down for manifestation in the physical consciousness and the material life. On the other side is this lower vital nature with all its pretentious arrogance, ignorance, obscurity, dullness or incompetent turbulence, standing for its own prolongation, standing against the descent, refusing to believe in any real reality or real possibility of a supramental or superhuman consciousness and creation, or, still more absurd, demanding, if it exists at all, that it should conform to its own little standards, seizing greedily upon everything that seems to disprove it, denying the presence of the Divine,- for it knows that without that presence the work is impossible,- affirming loudly its own thoughts, judgments, desires, instincts, and, if these are contradicted, avenging itself by casting abroad doubt, denial, disparaging criticism, revolt and disorder. These are the two things now in presence between which every one will have to choose. That lives behind life and makes her act its scene.